Pokémon Go Gen 2 is here and one of the questions I'm getting most often — and from the most surprising people! — is which of the new Pokémon they really need to catch. Not to complete their Gen 2 Pokédex, they'll do that in due course, but do evolve and power up the best Gym battlers, to grind out the most levels and to stock up on Candy for Gens 3 and 4. Yes, seriously. So, if you're heading out to catch Gen 2 Pokémon, here are the ones to catch first and catch often! This is what to keep catching beyond completing your Pokédex, right? Right. If you're just starting with Gen 2, you want to catch everything and anything. In other words, if you see a shadow on your Nearby or Sightings, catch it! Not only do you get a nice XP bonus for adding a new Pokémon to your Pokédex, you get closer to your gold medal for Kanto (Gen 1) and Johto (Gen 2), and you get the satisfaction of knowing you literally caught 'em all. Beyond that, this is for the Gen 2 Pokémon you're going to want to keep catching! Tyranitar — the Gen 2 Dragonite! Dragonite ruled the Gyms and players desires in Pokémon Go Gen 1. Everyone scoured water environments for the rare Dratini spawns — and rarer Dragonair spawns — to accumulate enough Candy to evolve. And the Mt. Moon biomes, as hinted by Clefairy spawns, for the occasional Dragonite spawn itself. Now it's Tyranitar's turn! Like something out of Godzilla, Tyranitar is a Rock/Dark-type Pokémon that packs a Dragonite-style punch. With CP that soars over 3700, and a Bite/Stone Edge and Bite/Crush moveset out of other Pokémon's nightmares, Tyranitar will be sitting on top of many Gyms and many attack rosters for the months to come. You can hatch Larvitar from a 10 KM Egg, just like Dratini, and it takes 25 Candies to evolve to Pupitar and 100 more to evolve to Tyranitar. Yup, just like Dragonair and Dragonite. Because it's a two-stage evolution requiring 100 Candies, you shouldn't rush to evolve the first Larvitar into Pupitar you can. Wait until you get the best Larvitar with the highest CP and appraisal you can first. Then evolve Larvitar to Pupitar and Pupitar to Tyranitar all at once. There's nothing worse than getting to 99 candies with a Pupitar once to hatch and catch a much better Larvitar at the last minute and suddenly need 25 more Candies. Also, keep after Dragonite! It's as powerful as ever and a few new Gen 2 Pokémon aren't going to change that! What are the other powerful Pokémon you should catch and evolve in Gen 2? Other than Tyranitar, there are a few other Pokémon Go in Gen 2 that can evolve their way to high CP. They're not quite as powerful as Gen 1, but trainers can't live Rhydon or Gyarados alone. So, if you see any of these while you're out and about, catch 'em all, evolve 'em, and power 'em up. Donphan can crack 3000 and Ursaring, 2700. Both are two-stage evolutions requiring 50 Candy each. What about the Gen 2 starters? And Gen 1 Pokémon that evolve and power up Gen 2? Good call! Blissey is the obvious Gym-topper here. She evolves from Chansey with 50 Candy, no Evolution Item required. Espeon is close behind, one of the two new Eevolutions in Gen 2. Only 25 Candy and no Evolution Item, but you only get one with the "Sakura" nickname trick. The rest you'll have to make a Buddy, walk 10 KM, and then evolve during the day. Scisor will cost you 50 Scyther Candy and a Metal Coat Evolution Item, put it'll also pack a punch. Er, blade. Because they're hard to get, you may not need to stock up too much on Candy for the other Evolution Item Pokémon — but you want to make sure you have enough Candy when you need it, and then you'll want enough to power up. What are the other Gen 1 Pokémon you should still be catching? Just like with Dragonite, a few new Gen 2 Pokémon powerhouses doesn't de-power the top Gen 1. So, if you can get more and Better Snorlax, Rhydon, Gyarados, and Vaporeon, do it. And even though Lapras has been depowered, it's still cool enough (sorry) for any collection. Snorlax is a force of nature unto itself. Rhydon requires 50 Rhyhorn Candy to evolve and Gyarados requires a whopping 400 (!) Magikarp Candy. Vaporeon only takes 25 Eevee Candy, but once you use the "Rainer" nickname trick to force your first, you only have a one in three (1/3) chance of getting more. So, best to stock up. And Machamp now too, right? Right! Machamp has new moves, namely: Counter + Dynamic Punch. And it can counter — wait for it — Tyranitar, Blissey, and Snorlax! Any Gen 2 Pokémon that can help in getting gold medals? Very much so! There's the all-new Delinquent medal for dark-types and, finally, some help for the Skier medal for ice-types. Murkrow is your go-to for the former. Catch 10 and you get a 1.1x bonus. Catch 50 and it goes to 1.2x. Catch 200 and it's 1.3x. Given Tyranitar's dark-typing, you'll want every bit of bonus you can get. Farming and grinding — which Gen 2 Pokémon do you need to power-level? While there are Gen 2 Pokémon that are so common they seem to spawn at every Pokéstop and street corner, Gym and parking lot, there are none that are quite as good for farming for mass evolution. That's because all of them require far more Candy to evolve than their Gen 1 counterparts, making them far less efficient — 25 Candy at the bottom end rather than 12. If they're still spawning for you, though, it's more efficient to concentrate on the 15 Candy Gen 1 classics, and throw Rattata in since its now the same as Gen 2's low end. Which Gen 2 Pokémon should you stock up on for future evolutions in Gen 3 or Gen 4? Getting prepared! Ha! These are the Gen 2 Pokémon that get additional evolutions in Gen 4, and the ones you want to get high CP, high stat (IV) — and lots of Candy for — starting now. Togetic to evolve into Togekiss. There are also Gen 1 Pokémon that get new evolutions in Gen 4, and new babies for Gen 1 and Gen Pokémon in Gen 3 and Gen 4. 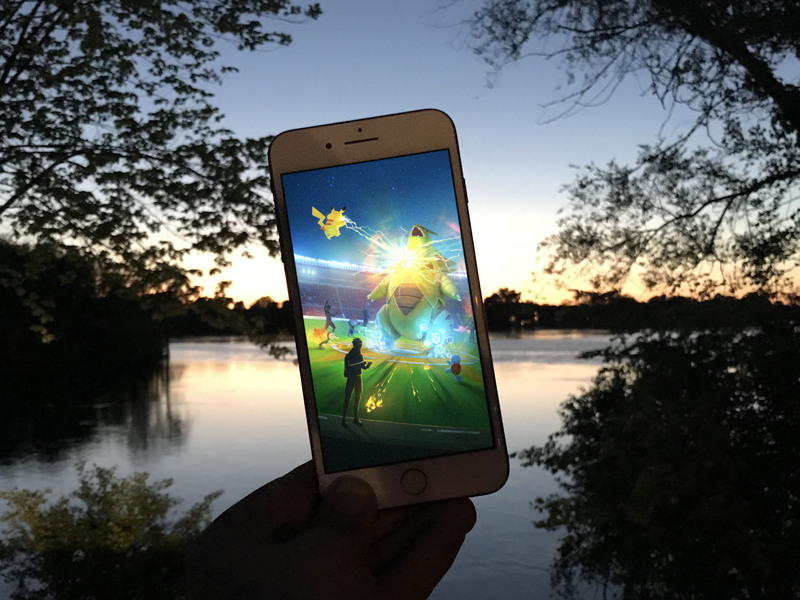 How to prepare for Pokémon Go Gen 3 and Gen 4 right now! You're catching all the extra Pokémon to get extra Candy to evolve them and even more Candy — and Stardust — to power them up. To coincide with all the new Pokémon in Gen 2, Pokémon Go has provided a new way to score that Candy: the Pinap Berry. Feed a Pinap Berry to a Pokémon and then catch it with your next throw and instead of three (3) Candy, you get six (6). Do the same thing for a second- or third-stage Pokémon evolution, and you get 10 and 20 Candy, respectively. Note: There's currently a bug in Pokémon Go that displays one less Candy than it should following the use of a Pinab Berry. If you check your totals, though, you'll see the full amount. Your favorite Gen 2 Pokémon to catch? There are over 80 new Pokémon first encountered in the Johto region in Gen 2 and everything will have their own favorites. If I missed any of yours, let me know which ones and why they're awesone in the comments below!